This photo often pops up on my news feed. I always respond with, On the other side of that coin… imagine living in pain and suffering from a chronic illness that renders you helpless and hopeless and people telling you not to take the medicines prescribed that help you because of a cure they don’t have in their hand to give you to live a life without a life altering disease. 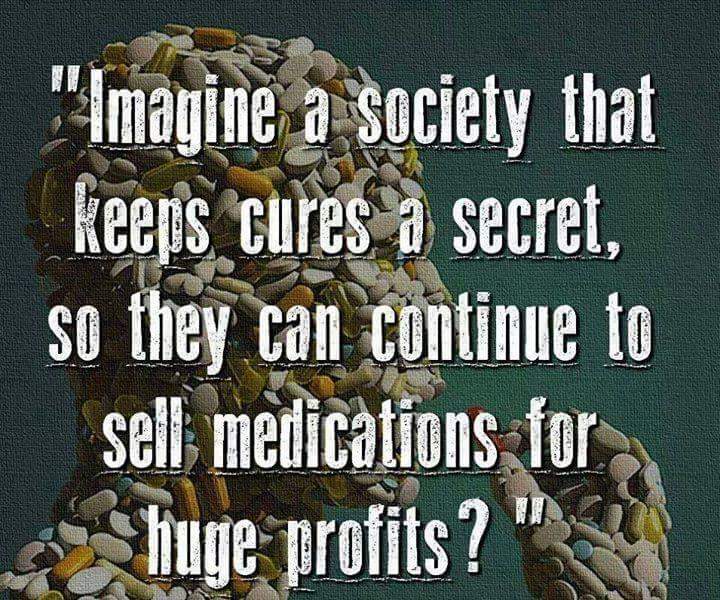 We know that the pharmaceutical industry is pushing many things for the money and to keep people sick in many ways. But, it has become increasingly popular to try and attack the disease sufferers with discussions of you shouldn’t trust the doctors or the meds they prescribe because they are out for your money. Many often people attack lupus warriors for taking medicines that assist them in living day to day. They put this layer of guilt for taking prescribed medicines as if a cure has been and will be readily available for them by simply stopping their medicine regimen and not placing their money and trust into the pharmaceutical companies or their doctors. It’s easy for someone who is not suffering day to day to profess how jaded the pharmaceutical companies are and scream they are killing you to those who know that their disease is killing them quicker. As if fighting lupus isn’t hard enough, lupus warriors have to fight those who feel they can chastise others for the medical treatments they decide to get. Lupus warriors, don’t be led down a guilty path by others who have no clue of your walk. Yes, there are many ways to treat lupus and you should try all that you feel will assist you. But, you shouldn’t be made to feel guilty for the treatment you choose. You shouldn’t be shamed into not taking meds that help you to survive. It’s become the norm and you don’t have to take it or be around those who want to medicine shame you and not help you succeed in your survival.